The Global Engineering Education Exchange (GE3) is an international exchange program for students in Engineering, Computing and Informatics, and Biomedical Engineering to study in one of several countries, immersed in the education, culture and daily life of their host country. For more information review the GE3 website. Studying at Institut national des sciences appliquées de Lyon (INSA Lyon) is a fantastic opportunity for students to improve their French language skills and explore their academics from a French perspective. Located on the premises of the Science and Technological Park of la Doua in Villeurbanne, INSA Lyon is ranked among the top universities of Science and Technology in Europe, multidisciplinary and international, at the heart of the European Higher Education Area. The city of Lyon is the second largest in France with 1.2 million inhabitants and more than 120,000 students. Situated at the heart of Europe, Lyon is steeped in history and culture. It has a rich industrial network which includes many large companies. Its international scope and exceptional cultural environment have made it a powerful center of communication. Lyon is only 2 hours from Paris and less than 2 hours from Mediterranean south of France by train. There are many international and high speed trains (TGV) come into the city daily. Where the Saône and the Rhône meet, Lyon has been listed as a UNESCO World Heritage Site since 1998. Former capital of the Gauls, the city bears witness to 2000 years of continuous history. Its remarkable heritage is enriched with signature buildings by contemporary architects such as: Renzo Piano, Jean Nouvel, Santiago Calatrava. INSA Lyon offers courses both French in English, including a specialized track in Information Technology taught in English. Students may opt to take a research course for credit, which involves being placed in a laboratory with an INSA faculty member. Students planning to take coursework in French should complete FREN 310 prior to study abroad. To expedite language learning, students should consider taking French during their co-op terms. French Language Intensive: INSA Lyon offers the option of an intensive French course (for additional fee) before the beginning of both fall and spring semester. Students taking coursework in French are strongly encouraged to consider this option. Course Equivalencies: INSA Lyon Course Equivalents List: List of INSA Lyon courses that have been pre-approved for Drexel credit. Students can choose to take courses from this list, but there is no guarantee that these courses will be offered in the future. Students are welcome to take course that are not listed, but pre-approval by the corresponding Drexel department is required. Course Approvals: Courses in the catalog that have not been pre-approved will need approval by the appropriate department at Drexel. For example, if you want to take a marketing course for Drexel credit, the Marketing Department must pre-approve the course and its equivalent. Grading: Students are taught by French faculty. Grades are listed as credit/no credit (CR/NCR) on their Drexel transcript and will not affect GPA. To receive CR students must earn a "C" or above. Students must be a full-time student at the host institution (between 15-30 ECTS credits per semester) while taking the equivalent of a full-time load at Drexel (12 – 20 credits.) All courses taken at INSA will be reflected on the Drexel transcript. *Students may take INSA final exams early in December or take exams in January at Drexel. Students should prepare to make adjustments and be flexible in fitting this program into their Drexel schedule and should begin planning 12-18 months in advance. INSA Lyon offers a variety of on-campus housing for students to select from. Students are encouraged to participate in student life activities on campus. There are 4 restaurants to choose from as well as a range of sports and relaxation infrastructure (swimming pool, tennis courts, sports fields, fitness room). For more information review the Exchange student information. All non-European citizens are required to apply for a French student visa. To start the visa application process, students should apply through Campus France. Click here for French Embassy Visa Information. Obtaining a French student visa normally requires an in-person interview at the French Embassy, which is located in Washington DC for Pennsylvania residents. Students using their Drexel address can apply and interview through the Washington DC Embassy, even if their home residence is another state. This is a Drexel sponsored program, thus your Drexel tuition and financial aid remain the same during the term abroad. Students may also want to submit a revised budget to Drexel Central to see if additional funding may be available. Students who receive Federal Work Study should consider applying for the Study Abroad Online Journalist work study position (only available to students after acceptance). 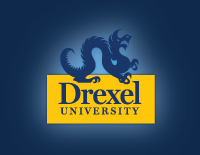 Those interested in seeking additional funding should review the Drexel Affiliated and External Scholarships pages. Remember that scholarship deadlines may be much earlier than study abroad deadlines, so plan accordingly. Read a Drexel student blog on studying at INSA Lyon.